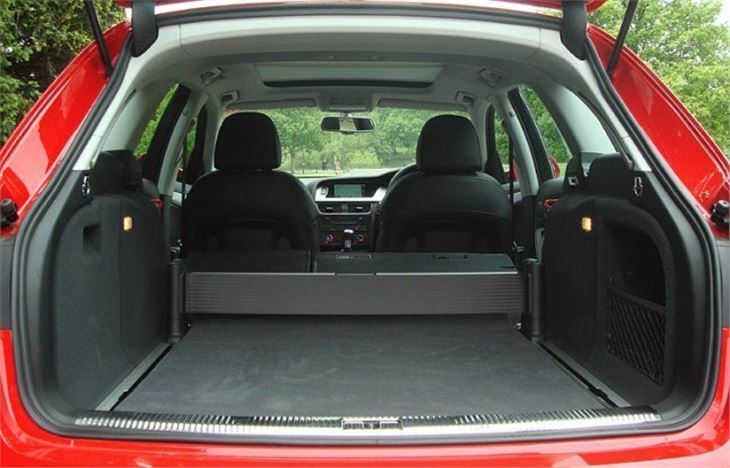 Just as night follows day, the wagon version of a new car follows the saloon. 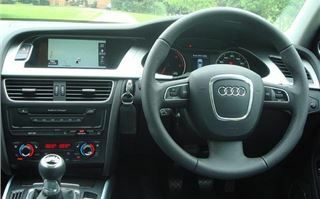 But an Audi A4 Avant is more than just an estate car. It’s a brand in itself. 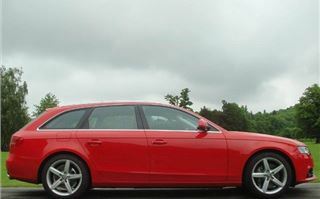 I remember the launch of the A4 B6 Avant in Berlin. The saloon had been out for at least 9 months. Yet nevertheless the excitement on the faces of people in B5 Avants when they saw the new car was palpable. They craned their necks, pointed, spoke to each other in excited tones, set a new target for their hard-earned income. 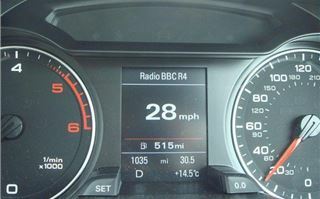 But now the range has expanded to include more engines, including a quick, frugal and low CO2 2.0TFSI. And, like the saloon, the new Avant is not only quite a bit bigger than the old one, it sits on a longer wheelbase. This translates into more head and legroom for passengers, more loadspace, now up to 1,430 litres with the back seats down, and better ride and handling. You can’t tell much about a car on busy, camera gauntleted Midlands roads apart from what it’s going to be like in boring, real life conditions. 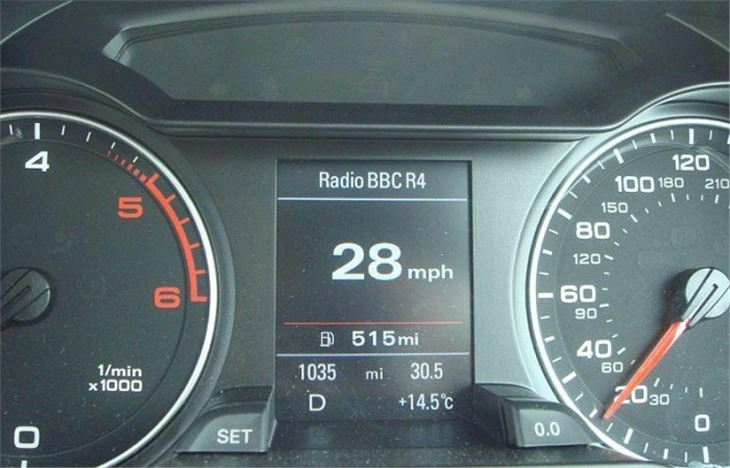 Suffice it to say the 3.0V6 TDI quattro is quick, safe, and mild-mannered when stuck in the inevitable nose-to-tailer. But, trying to take snaps of the extensive load area, I ran into a problem. 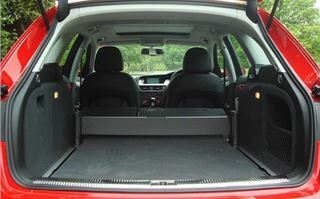 Unlike the new Mercedes C-Class estate, where you just press a button and everything simply folds flat taking the parcel shelf as well, with the A4 B8 Avant you have to become a demolition expert. First you have to unhitch the tubular cassette for the luggage cover (which, can be made to slide up along grooves in the D-pillars.) Then you’re faced with the job of crawling into the load area and removing the substantial dog guard cassette. Two removable bars might make sense in a pub, but they are not what we want in a station wagon. On top of which, having removed them, you then have to load them in with the load, thus reducing that 1,430 litre loadspace. But that’s a minor inconvenience made too much of in a car where a strong dog guard is probably more important than a means of quickly removing it. Though if Fido was caged, as he should be, there would be no need for it at all. 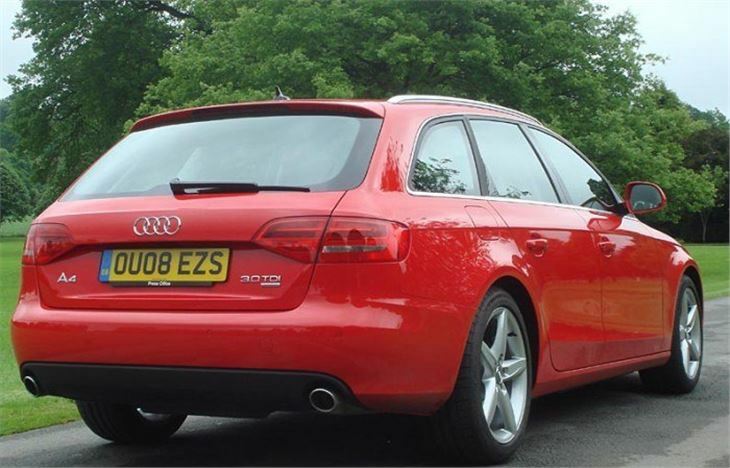 The A4 B8 Avant undercuts the C-Class estate, which can set you back £45,000 very easily. 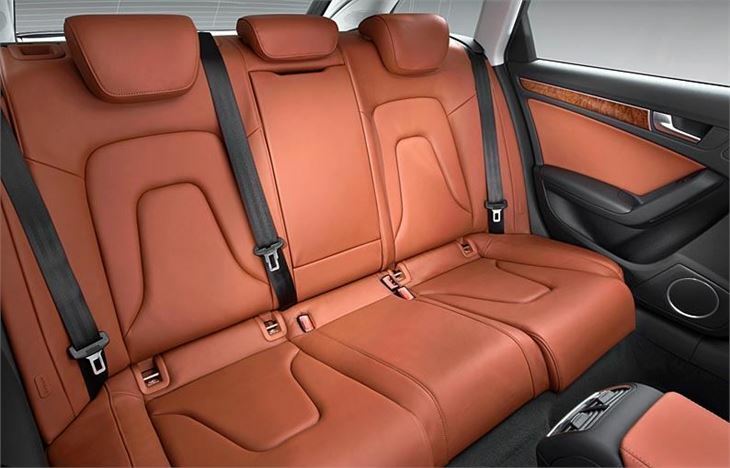 And the security of quattro four-wheel drive is probably preferable to MB’s complex electronic wet flannels to keep the car and you on the road. At lower price levels, though, the A4’s advantages are less clear-cut. And you have to remember that £20k (at a discount) gets you into Ford’s sensationally good, luxuriously appointed Mondeo 2.2 TDCI 175 Titanium X estate. Some people may think that’s a lot for a Ford. But the cheapest A4 diesel estate lists at £23,300 for just 120PS. You have to stump up £27,250 for the 143. And, who knows, at least another grand for the forthcoming 170PS version. 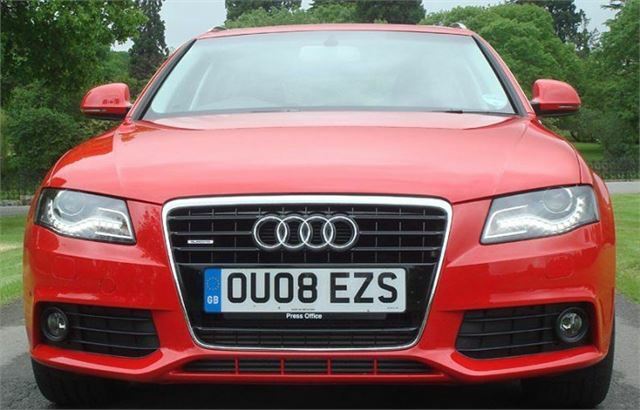 Even at discounts you’re looking at £6k - £7k more than the Ford. The A4 B8 Avant will sell like hot Battenburgs, of course. But paying more for a car just to show you can afford to pay more is getting into Aston Martin territory.